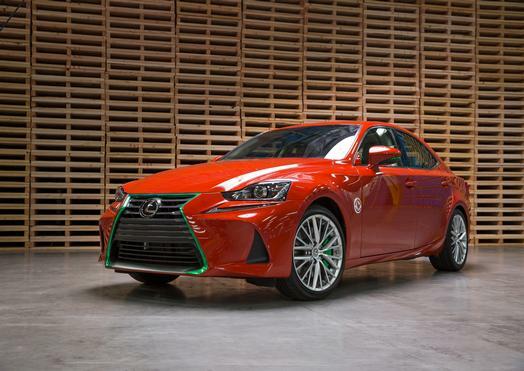 To celebrate the launch of the 2017 Lexus IS sports sedan, Lexus created a bolder, spicier customized version of the original: the Lexus Sriracha IS. By joining forces with the authentic, beloved sauce made by Huy Fong Foods, Lexus turns up the heat with custom auto detailing, foodie finishes and an arsenal of Sriracha within easy reach for emergency situations. The specially modified vehicle will be on display at The Los Angeles Auto Show from Nov. 18–27 at the Los Angeles Convention Center. To bring the concept to life, Lexus commissioned the elite crew at West Coast Customs. Lexus also created a light-hearted video for fans to enjoy. “Sriracha In Everything” highlights the vehicle’s custom details and how Sriracha makes everything hotter.